Faith: a very personal word stemming from a very personal relationship with God, resulting in an inability to clearly articulate just what it means to you. Sound familiar? Are you like so many people who steer clear from talking about religion, let alone your own personal faith, for fear of rejection, confrontation, or appearing ignorant? Fear no longer! 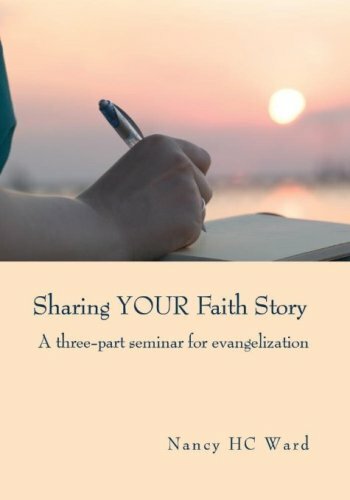 Your faith sharing story is your story. No one else can write it and no one else can articulate it better than you. Easier said than done? I understand. That’s why I am excited to share with you a new DVD by my friend, Nancy Ward, titled, Sharing YOUR Faith Story DVD.